Thanks for all the awesome congrats I received yesterday for my "blogiversary." I loved reading the comments on yesterday's post about how social media and blogging has affected people's approaches to fitness and healthy living! It's so cool how the advent of social media has changed the face of fitness, making it a lot more social and allowing people to encourage others, oftentimes people they've never met. There's still time to enter the giveaway for a Sparkly Soul headband and free class at Uplift Studios! In my early months of blogging, back when I was just a wee young thing, I wrote about how to save money on fitness classes. Everything I wrote is still relevant, but in the summer, there are even more awesome free and discounted fitness class opportunities. I've rounded up some of the cool, free classes happening around New York City, and also picked some discounted classes to highlight. Loved trying out beginner pilates at this Lululemon store in Montreal! I've heard that Bryant Park Yoga is an amazing experience. Hundreds of people practicing yoga in beautiful, bustling Bryant Park, with the New York Public Library looming in the background. Classes are at 10:00 AM on Tuesdays and 6:00 PM on Thursdays through September 19. The fitness wear brand Lole is hosting Lole Women's Meet Ups that spotlight different studios and instructors from around NYC. The events are semi-weekly on Tuesdays at 6:30 PM at Pier 25 in Tribeca. The last one in July is taught by the amazing Michelle Mason of Uplift Studios! The City of New York runs a program called Shape Up NYC that hosts free classes all around the city at all different times. Classes range from kickboxing to yoga to Zumba. There are even free intenSati classes offered! Nike offers Nike Training Club workouts with awesome instructors at their E 57th Street store, Mondays at 6:30 PM. 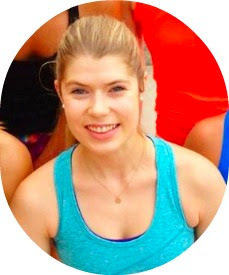 Check out Kristin's post describing her great experience at the workout. I believe they do run clubs on Thursday nights at 6:30 PM from their Gramercy store, too! The preeminent source on free summer fitness classes: Well + Good's Summer Guide to New York highlights many cool workouts around the city, including tai chi, pilates, and even a special Equinox class! And finally, check out JackRabbit Sports, Super Runners Shop, Lululemon, and Athleta for free classes and run clubs year-round. FitMapped highlights weekly deals on classes for both NYC and LA. They also post reviews, so you can always check out the studio before you attend a class. Fitist always posts last-minute deals for studios. I've seen terrific discounts on Brooklyn Bridge Boot Camp (work out on the Brooklyn Bridge! ), I.AM.YOU yoga, and other cool places. The deals are not summer specific, but since studios are less likely to be full during summer months, there are more likely to be great deals! Speaking of FitMapped, they're currently doing a Fit Crawl that features different studios with discounts each week. It even stretches out to the Hamptons, for those of you lucky people with a house out there. Through August 31, Revolve Fitness is offering single ride and package discounts. Although it's not discounted, Revolve is doing a cool workshop for those interested in biking around NYC: Real Ride 101 Workshop with their Senior Master Instructor and competitive road cyclist, Kristin Kenney. It'll be held Saturday, July 20, and will cover pro-tips on safety, choosing equipment, and fueling for the road. Sadly I won't be in town for it, but I want to take a similar workshop in some point. Biking in NYC scares me! Do you have any tips on finding free classes? If you don't live in NYC, does your town offer free fitness? I love Jack Rabbit! I went to one of the brick workouts, and it was awesome. Free spin at Equinox? Yes, please! Lululemon also does free yoga in Prospect Park on Thursdays. I love Bryant Park yoga, but Prospect is probably a bit more relaxing... Hoping to check it out once before leaving. AND I want to try the Nike workout. This is such a useful post for a future law student. :) Thanks, Jen! NYC seems to have a great selection of free classes/workouts. There are not those options here in Columbus. Yoga in an outdoor park setting sounds amazing. Thanks for the shout out! I love the free yoga happening in LiC and astoria. Some local yoga and Pilates studios are running them, so it's nice to try them out without committing to a class!